Click logo to the left to visit CCG Facebook page! One winner for each track category (multiple tracks accepted from same artist/producer). Prizes will be awarded once exclusive licenses are granted to GUMSMACK, LLC for use. Prize $ strictly for the 3 main categories, section 8 JUKEBOX entries are for future game updates. Formats must be in .mp3 and .wav only, thanks. Total prize pot of $500 minimum. Pot is split between categories. The main categories are beats only with little to no vocals, now a hoorah or huh here and there adds feeling so…also note we have other tracks on reserve outside of beatfest, no winner is required if all submissions don’t quit make the mark. So bring your “A” game and impress us, these tracks you hear for sample are really expensive like $1500 a pop…so you see our need 😉 May the contest begin ! Good Luck! Here at GUMSMACK, we are looking to network between our friends, family and other business relationships we have to give artists, entertainers, labels, producers, etc. the opportunity to be seen on a GLOBAL platform other than the traditional Soundcloud, Facebook, Youtube, Instagram, Spotify, etc. 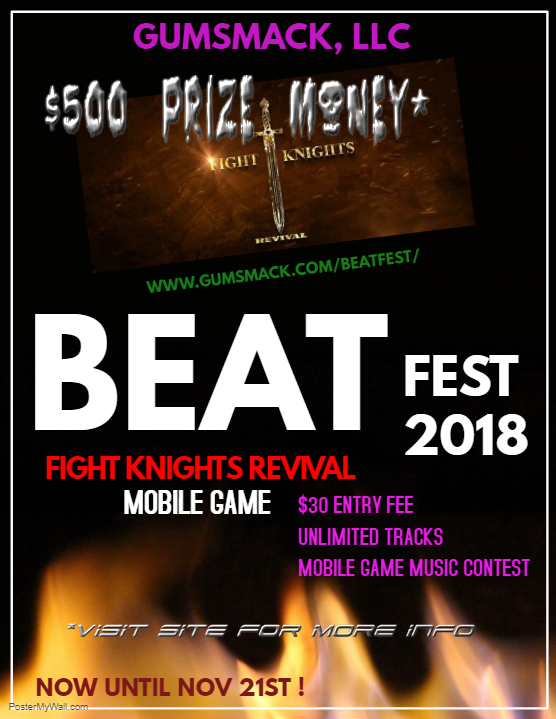 We are finishing up our mobile game FIGHT KNIGHTS REVIVAL and would like to help out the cause by offering background music/beat slots available to those that want to participate in the BEAT FEST CONTEST. By submitting your tracks to us or our sponsor CCG NETWORK RADIO, you in turn are allowing us an exclusive license to use, distribute, advertise, etc. your creation(s). In return, we will allow your music/beats to be played during gameplay in the background, commercials, future features, etc. with credits given in the more menu to specify artist, label, links, etc. Be heard today! Get into the gaming world and with GUMSMACK, LLC as the developer, what better of an opportunity to promote yourself and boost your portfolio 😉 The game will be on both platforms, the APPLE STORE as well as GOOGLE PLAY store March, 2019 ! 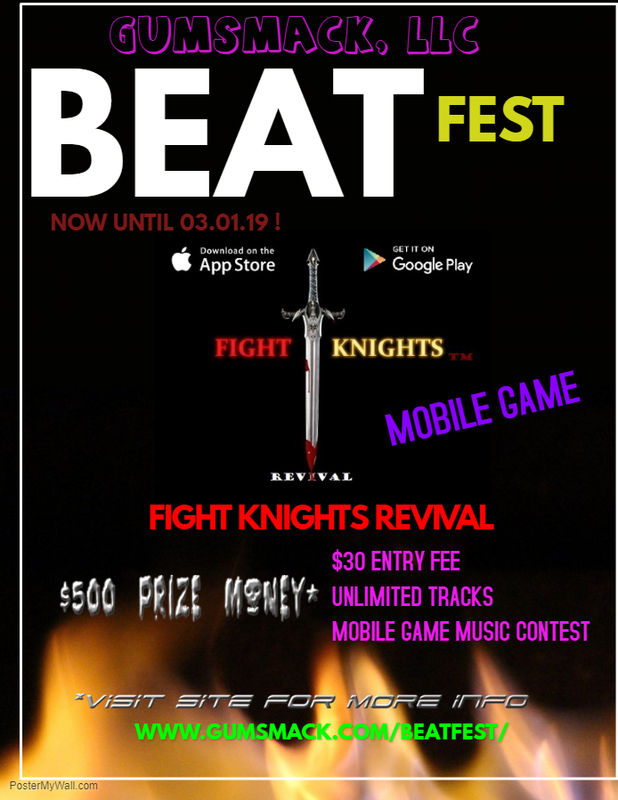 All winners (3 tracks total) will have 1 or more track(s) on our FIGHT KNIGHTS playlist for our mobile game. Winners will be globally recognized in the mobile gaming world in their musical industry. 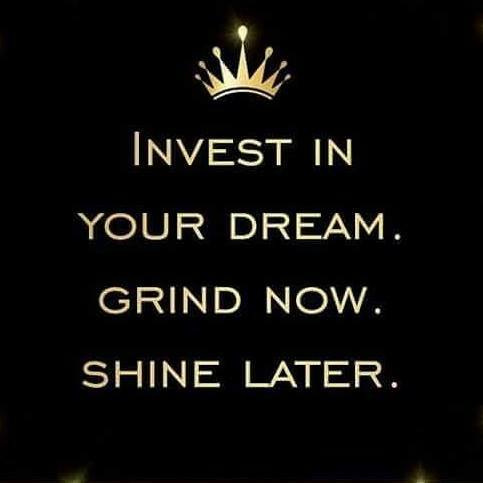 Winners will have a priority for us to go to when we need new releases, in which we will compensate for expenses, meaning pay for license(s) to use, etc. Total prize pot of $500 minimum. With a goal of 1 million + downloads (game wise) we want our soon to be popular game to feature artists / producers that want to be heard that haven’t been. Each one, teach one. Our game FIGHT KNIGHTS has a midevil theme, with castles and you basically attack other castles with your troops, etc. So, there is war, blood, fire, smoke and hurt feelings lol. See our latest commercial above to view some in game footage.